« Do You Find Yourself in a Communication Pickle? Then Use PICKLES to Resolve It. 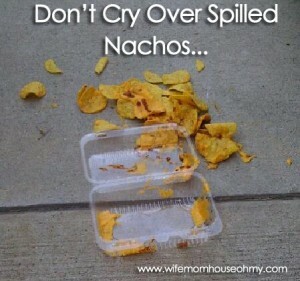 I mean it was the perfect next step in my on-going month of “spilled nachos” and exemplified how out of control my month had been, sadly the reason for the lack of posts since late July. I have had one of those months that something new keeps hitting me every few days and none of them small… trying to holding on my sanity has been my priority. I already shared with you that I lost a close friend of mine, which I am still finding difficult to move on from. I miss her, her humor, her smile and her beautiful spirit everyday. However this month of “spilled nachos” also included dealing with the results of my husband’s former employer filing Chapter 11 bankruptcy. We are faced with the very real possibility of losing hundreds of thousands of dollars in retirement funds all because it was not a protected form of retirement – one of our largest retirement fund sources. We are working in pro per (our own attorney) and I am doing the majority of paperwork and research. The former employer and their counsel are constantly playing a hurry up and wait game followed by sending major documentation and orders that require us to respond in 5 days! Its been a roller coaster to say the least. And when they hit us, its demands an instant response. And that’s not all. My mother has been selling her house and I am glad to say she has done so. However, what was supposed to be a 45 day escrow had an ever changing deadline for closing – first August 15th, then August 1st, then August 9th, and then August 4th. I have been helping her with the process since last November when she started getting ready to sell but let’s just say it all hit the fan the last week of July. Not only were we moving her stuff in to storage but the rest of my stuff from our last year’s move. AND since the housing market in California is very challenging, her house sold before she could find another, she has temporarily moved in with us. So we were also preparing our house for her to move in. Now we are trying to put things back together. We have also been having our windows installed adding more chaos to the mix and continued doctors appointments trying to figure out my ongoing health challenges. And to top off all of this is are the on-going factors of life – schedules, back to school, teenagers, marriage and family. Its been an interesting month to say the least. As a mom and a businesswoman, I fully understand and expect life to be hectic but there is a difference between hectic and chaos.